Will the even busier busy streets of London be too much to handle this summer? Or do you have a holiday planned which ruins your three weeks in front of the TV? All footage will be provided by the Olympics Broacasting Society, but each nation is bringing its own flavour to the coverage. Here's our guide to watching the home games on foreign soil. Between NBC network television and its new YouTube-powered site NBCOlympics.com, the broadcaster will show 3,000 hours of coverage with every single event live. Perfect, if you can handle a little jingoistic cheerleading for GB's most illustrious former colony. Foxtel, Oz's equivalent of Sky, is launching 8 dedicated new HD channels for the Games, and promises to show every gold medal event live. Subscribers can also watch online or via mobile devices. The Nine Network is also bringing 14.5 hours of live, free-to-watch coverage daily. Broadcaster NHK will finally unleash its Ultra HD technology during public screenings of events. The display tech showcases imagery at 7,680×4,320 pixels - 16 times the resolution of regular 1080p. 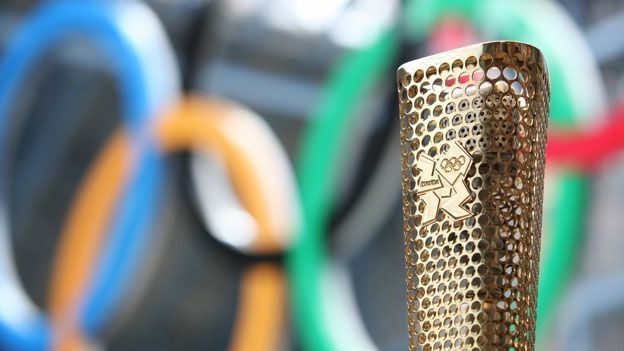 Sky Italia has teamed up with the public service network RAI (like the Beeb) for coverage of London 2012. The former will show 200 hours of coverage on its new 3D channel. Planning a Spanish sojourn with the kids? The free-to-watch RTVE is your friend. However, facing crippling debts, the network is scaling back its operation by a quarter compared with Beijing 2008. HD coverage will be available. The hosts of four years ago are holding a series of festivals focusing on UK culture this summer to celebrate passing the Torch to London. China's coverage will be served-up by the ominously named CCTV5 channel. ESPN Star Sports is launching ten dedicated high definition channels (13 in all) to bring round the clock coverage, including 76 hours of live table tennis and 85 hours of live badminton to Olympics obsessives in Singapore. Going on Safari this summer? SuperSport's got you covered. The network is bringing 24 hour coverage on multiple channels to South Africa, Kenya, Nigeria and more. The games will be screened on state television and will feature exclusive coverage of new leader Kim Jong-Un winning all 302 gold medals.